So here's one way to learn to drive in New York City. camera (Morgan Korn/ABC) McLaren supercars on display in New York. I walked into the Classic Car Club of Manhattan on Pier 76 earlier this month without ever having driven a car in New York City and walked out 60 minutes later clutching the keys to a $235,000 supercar. The thought of driving in New York had always given me cold sweats. Impatient cabbies, psycho bikers, drunk tourists on Citi Bikes, confusing traffic laws that change monthly, clueless pedestrians, eyes glued to their phones, oblivious to oncoming traffic. I’ve seen fellow commuters nearly clipped by a speeding car. I’ve been a passenger in a cab that hit a stopped car and sped away. I’ve witnessed drag racing on the West Side Highway. It’s scary out there. When McLaren, the British supercar maker, invited me to test-drive its new 570S Spider (industry-speak for convertible) in New York City, I was torn. Here was a once-in-a-lifetime opportunity to get behind the wheel of one of the coolest exotic sports cars on the market. But I’d have to drive in New York. 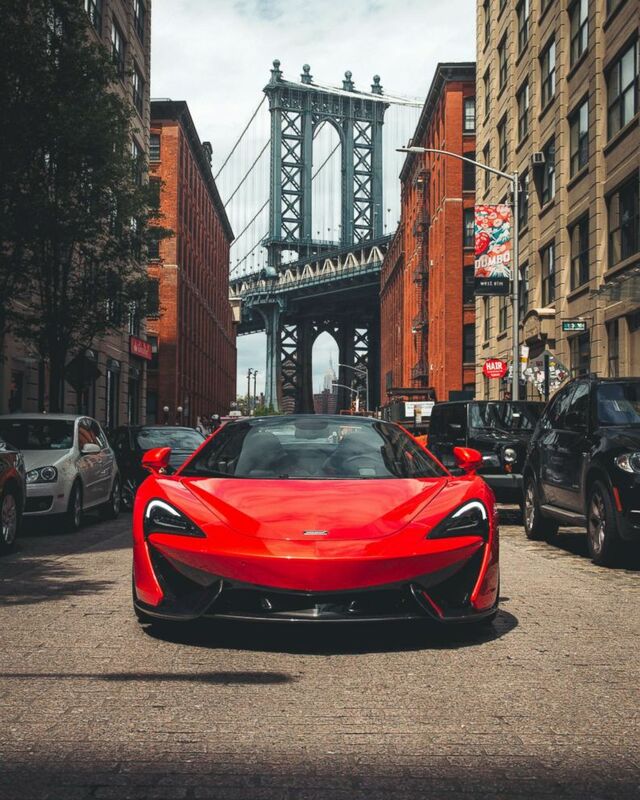 (McLaren Automotive) The McLaren 570S Spider photographed in Brooklyn, N.Y. There was only one man on Earth I trusted to get me through this: my Dad. An enthusiast and longtime collector, my dad’s life revolves around cars - literally. He owns a tire company in New Jersey, works on his antique sports cars in the garage at night and spends weekends traveling to see friends' multimillion dollar classic car collections. He immediately insisted I get on board. This was a revelation; 15 years later he's still scarred from teaching me how to drive as a teen. 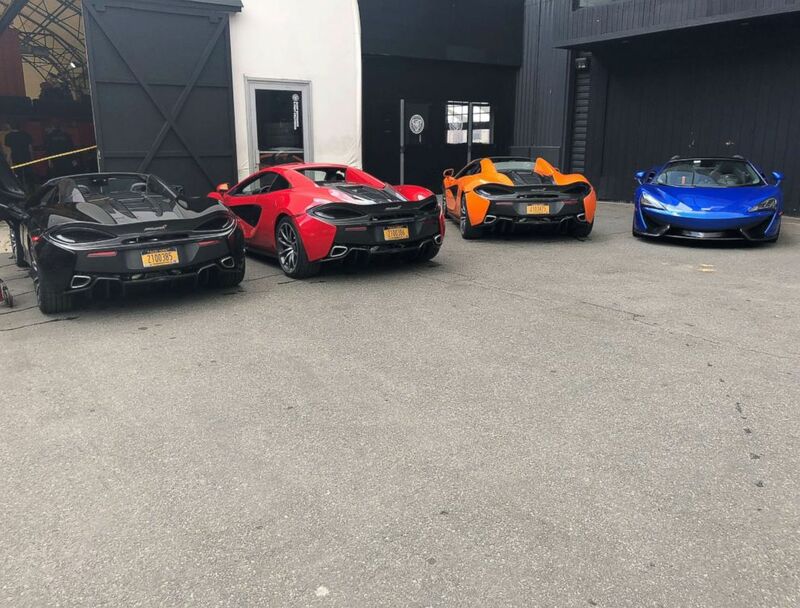 (Morgan Korn) Four McLaren 570S Spiders in New York, May 23, 2018. I laughed. The color of the car didn’t matter: its futuristic design, shark-like nose and curvaceous body were enough to make it stand out among the sea of traditional sedans and SUVs. McLarens are not your garden-variety sports car; they’re elusive and quite rare. It takes three to four weeks to assemble one by hand at the factory near London’s Heathrow airport. Fewer than 20 are produced each day. 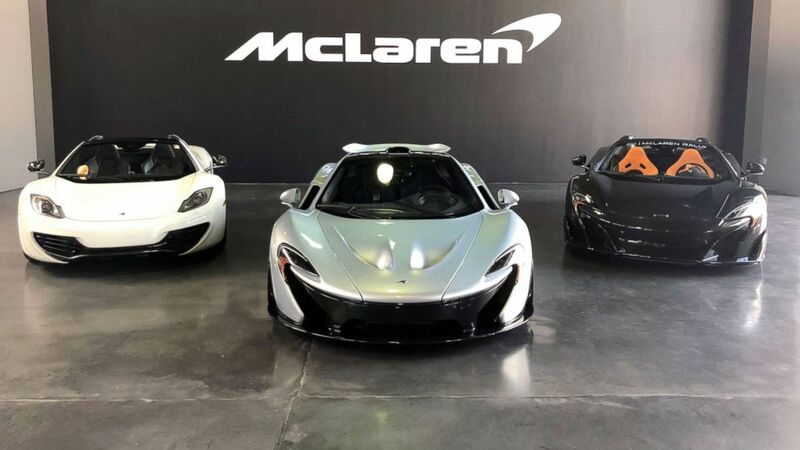 McLaren Automotive, which launched in 2010, is the largest part of the McLaren Group and a distinct entity from the venerable McLaren racing team. The company takes its name from founder Bruce McLaren, one of the world’s top race car drivers, who was killed in 1970 at England’s Goodwood Circuit when he crashed one of the experimental cars he was testing. He was 32. Global communications director Wayne Bruce told me Bruce McLaren had been determined to produce a race car for the streets. In 2017 his namesake company sold a record 3,340 cars globally and is gearing up to produce 5,000 cars a year as part of its Track 22 plan. McLaren executives and stakeholders are trying to broaden the company’s appeal outside Formula One and move it away from being a specialized, niche player for billionaires. 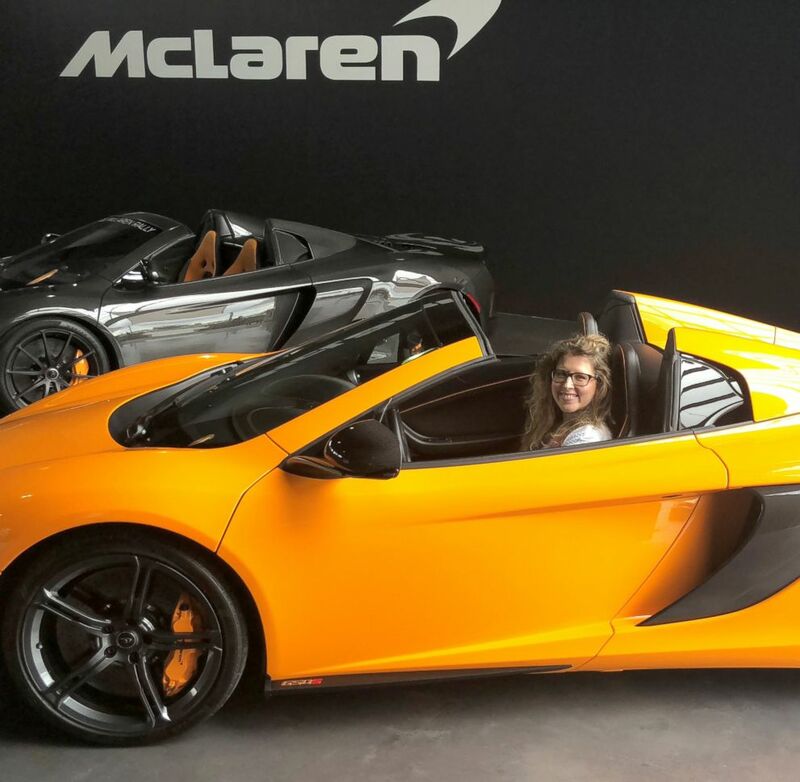 (Morgan Korn/ABC) Morgan Korn drove in New York City for the first time in a McLaren 570S Spider. 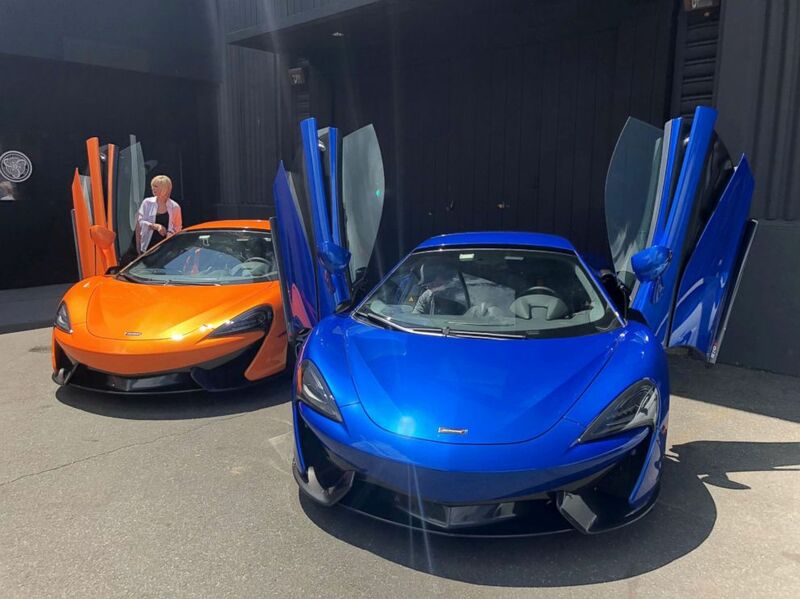 The 570S Spiders, like their sister version the 570S Coupe, are the “most affordable McLarens yet” at $208,800, according to Bruce, and were built to compete with the Porsche 911 and Audi R8. The model I chose to drive had an MSRP of $235,340; the Vega Blue color added more than $4,000 to the price. The brief history lesson concluded and it was time for my reckoning: face the demanding streets of NYC or accept defeat. I heaved the dihedral door open and sunk into the seat. The 570S, like its supercar rivals, sits low to the ground and requires a little maneuvering. I clicked on the button for the hardtop roof to retract; a cool 15 seconds later I could feel the heat from the sun on my pale arms. Side mirrors adjusted? Check. Emergency break released? Check. Sunglasses for dad and I? Check. (Morgan Korn/ABC) The 570S is the "most affordable McLaren yet," according to Wayne Bruce, global communications and PR director for McLaren. The 3.8-liter, twin-turbo 562 hp V8 engine howled like I never heard before: it was throaty, powerful and unmistakable. So loud that I could probably wake up my entire neighborhood. Too bad! I inched the car out of the parking lot, wary of pressing too hard on the gas pedal. The light turned green and I was waved to go. “Step on it,” my dad yelled out above the din. Off we went into traffic on the West Side Highway. Was the car grumbling? Hey, I feel you. It would be impossible to test the reported top speed of 204 mph in the city; I’d need some open space. Bruce and his team recommended that everyone head north to Bear Mountain. I had another idea: New Jersey. Before I could get to the Garden State I’d need to conquer my worst fear -- driving up the West Side Highway and across the George Washington Bridge. Suddenly I had a feeling all eyes on the road were laser-focused on me. I turned left and another driver was clearly paying more attention to the McLaren than his own car. On my right I was heckled by three millennials, pleading with me to rev the engine. “I love your car,” screamed the male driver as one of his female passengers hung halfway out the window, recording the entire experience on her phone. I giggled but politely refused. I am no show-off. My dad slinked lower into the seat, hiding his face. We had become local celebrities. Driving north, the traffic abated after 56th Street and I followed the procession of cars up the West Side Highway. The visibility was perfect when staring straight; to see behind I had to rely on my mirrors or ask my co-pilot for help. Driving also took a little getting used to; the car didn’t jump at the slight tap of the gas pedal – it was more of a genteel and subdued acceleration. More than once I was alarmed that I might have unintentionally left the gear in neutral. The 570S was loud and muscular (the engine is positioned right behind the driver) and everything you’d want in a supercar. My dad and I chose to forgo testing the $2,280 12-speaker audio system from Bowers & Wilkins to enjoy the 570S’s burbles. It was the perfect symphony to a perfect spring day. (McLaren Automotive) Every McLaren is hand-assembled at the factory in Woking, Surrey, England. 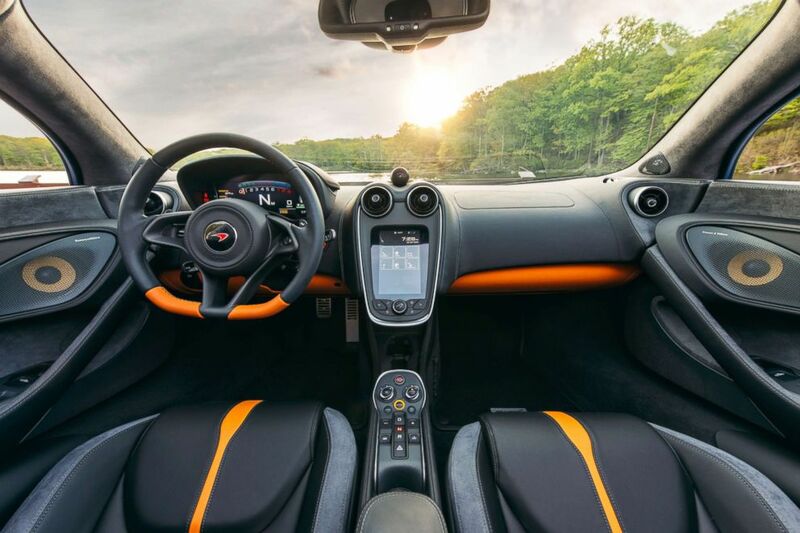 Here, a look inside the cabin of the 570S Spider. We crossed state lines into New Jersey and I could feel my confidence growing. I had mastered the West Side Highway and survived the dozens of tractor trailers on the bridge. My grip on the wheel relaxed and the tension in my neck and shoulders eased. My dad also seemed to be truly enjoying the ride: his right hand was no longer firmly attached to the door handle. He gave me a big thumbs up. Now it was time to see what this supercar could do. I zipped down Route 4 in northern New Jersey, getting honks and stares and even a few catcalls. Tempting as it was to really push the car to its limits, I resisted the urge. We made some pit stops to see friends and the reaction was invariably the same: a few gasps, a big smile and a request to have a picture taken with it. A female crossing guard in her 60s, wearing sunglasses a similar shade of blue to the car, nodded her head up and down in tacit approval when I passed by. My fellow New Jerseyans were enamored with the car. 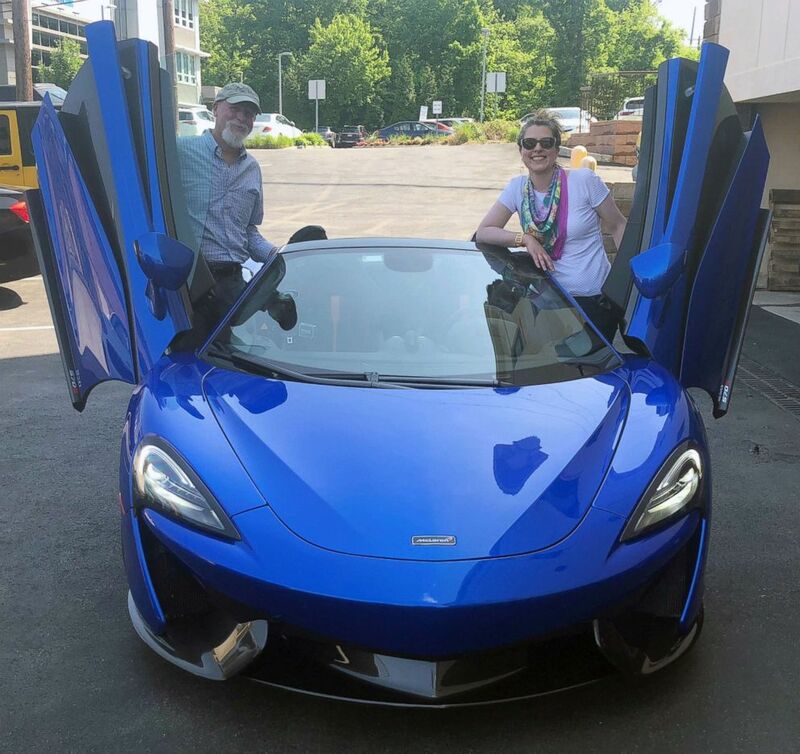 (Morgan Korn/ABC) Morgan Korn and her dad Buz Korn posing with a McLaren 570S Spider, May 23, 2018. The hardest part of the experience was relinquishing the 570S at the end of the day. Later, I asked my dad how the day went. He was so proud of my driving he told me, so proud indeed.